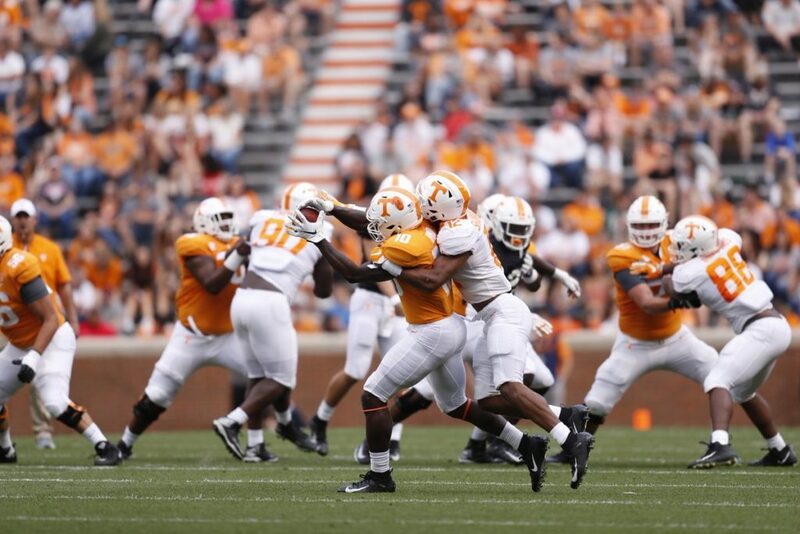 Tennessee’s annual spring game started slow, but things picked up finally right before halftime. 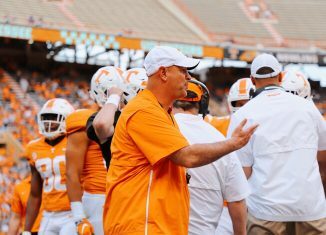 The Orange and White teams were scoreless after the opening quarter of play in the Orange & White Game, and both offenses were stalling out more often than they were making plays. Then, the Orange Team got on the board first after a great drive led by freshman quarterback Brian Maurer resulted in a field goal, and the scoring snowballed from there. The first team offense scored on their last two possessions of the first half, including a touchdown from Jarrett Guarantano to Josh Palmer as time expired, to give the White Team a 14-3 lead at the half. 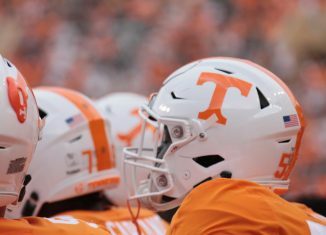 The White Team scored again on their first possession of the second half thanks again to another Guarantano touchdown pass, and they built their lead to 28-3 after Guarantano found Jauan Jennings for a score with less than three minutes remaining in the game. Redshirt freshman JT Shrout scored the last touchdown of the game and the only one for the Orange Team when he connected with James Brown for a 14-yard score with 1:33 to go in the game. The White Team won 28-10, and there were some definite standouts during the game. 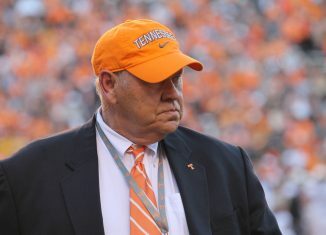 Here are our five biggest observations from Tennessee’s 2019 Orange & White Game. 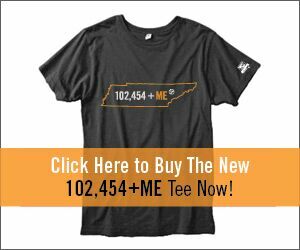 Click the image above to pre-order your 102,455 + Me shirt now! Use the coupon code OW15 to get 15% off your order! 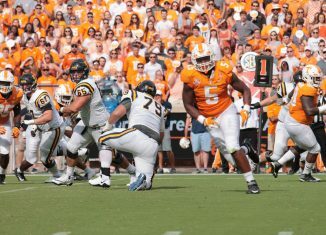 Tennessee’s starting quarterback got off to a slow start, as did the entire offense. But after a lackluster beginning, Jarrett Guarantano and the first team offense found their footing. Guarantano began just 3-of-8 to start the game, but he closed the first half strong and continued that run in the second half. The Vols’ starting QB finished the game with 198 passing yards and four touchdowns on 19-of-37 passing, and he looked solid on completions to Josh Palmer and Jauan Jennings for touchdowns. 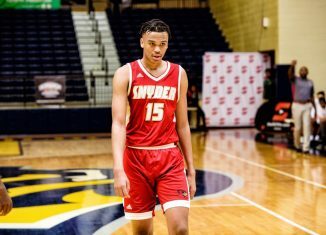 He also found Dominick Wood-Anderson for a score. Not only that, but Guarantano actually looked more mobile, too. He ran a couple different times for some good gains, and his long of 12 yards was one of the longer runs on the day. Overall, the offense didn’t show a great deal on Saturday, but once Guarantano got over the slow start, he looked impressive. There wasn’t a lot that impressed for the Vols in the ground game on Saturday, but Jeremy Banks flashed some good play-making ability and looked like a useful back for the future. 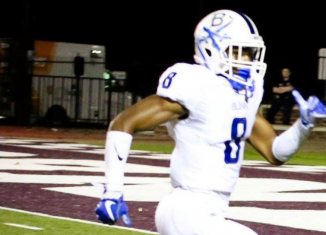 The rising sophomore finished the game with seven carries for 23 yards and was also targeted a lot in the passing game, hauling in five receptions for 21 yards. He tied Jauan Jennings for the most receptions in the game. Banks was one of the few players on the second team offense that showed some play-making ability, and that includes seldom-used wide receiver Tyler Byrd and also Jordan Murphy. Last year, Banks looked promising as a running back until he started fumbling the ball. If he’s fixed his ball control issues, he could be a factor in the run game this fall. 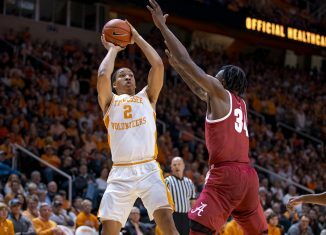 Tennessee will be relying on some younger players to provide depth and play-making this season, and some of those key players showed some promise on Saturday. Safety Jaylen McCollough had one of the biggest plays of the defense in the Orange & White Game, picking off a Brian Maurer pass and returning it 32 yards inside the 10. Tennessee’s first team offense took over and immediately scored on their very next play, capitalizing on McCollough’s play. Then in the fourth quarter, McCollough intercepted another pass by Maurer, giving him two on the evening. He led the team in turnovers forced and was second in the game with tackles, totaling seven and notching a pass breakup as well. Linebacker Quavaris Crouch looked very good in his first action as a Vol and his first major action as a linebacker since his junior year of high school. He finished the day with five tackles and a tackle for a loss, and that TFL was a huge hit on the running back. Redshirt freshman defensive back Brandon Davis had a heads up play in the second half, stripping true freshman tight end Jackson Lowe after a big gain through the air and forcing a turnover. He also finished with five tackles. 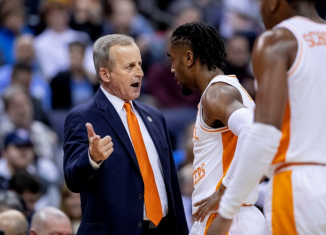 The Vols had several of their newcomers and younger players step up on Saturday, and that could bode well for the season. 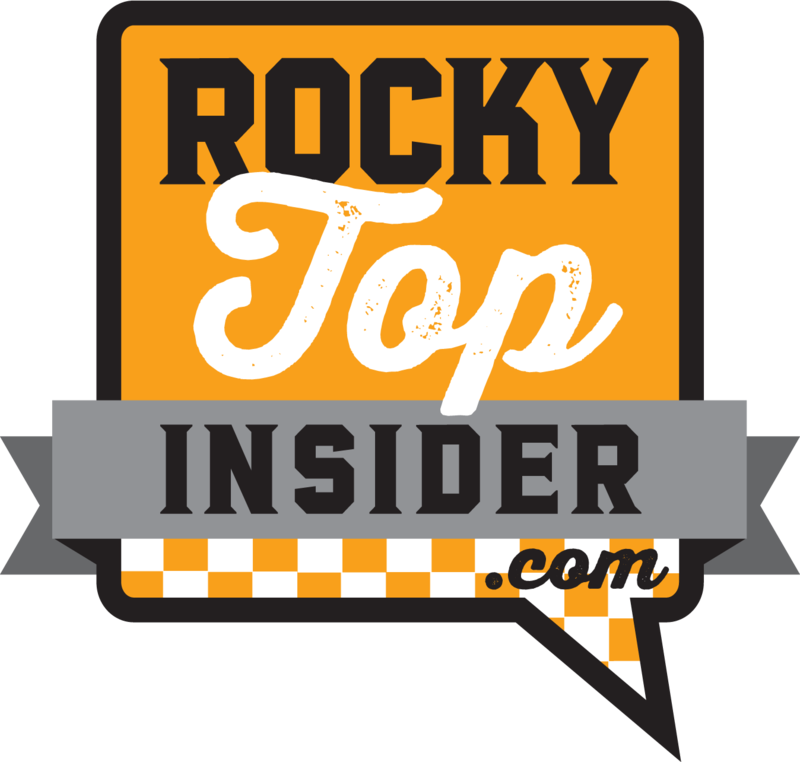 It’s hard to take away too much from a spring game, either positive or negative, but the early returns on Tennessee’s backup quarterback situation weren’t the greatest. Brian Maurer got off to a good start and led the first scoring drive of the day. The true freshman was 5-of-5 on his opening drive and led the Vols down inside the 10-yard line, though the defense made a good stand. Still, he helped the Orange Team strike first with a field goal. But after that, Maurer had a day to forget. 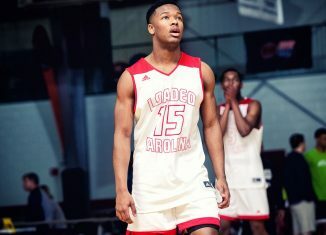 The true freshman would complete just two of his next five passes, and he got picked off twice by Jaylen McCollough. He finished the game 7-of-10 for 105 yards and two interceptions. Redshirt freshman JT Shrout didn’t look all that great, though he didn’t look awful either. He finished the game completing 10 of his 19 attempts for 138 yards and finished his evening with a touchdown pass to tight end James Brown. Both young quarterbacks flashed potential, but both also showed quite a bit of inconsistency, much like they did all during spring practices. 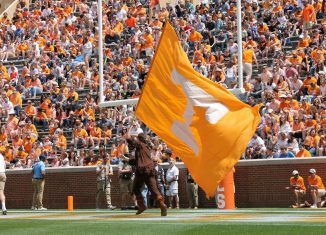 It’s clear that Guarantano is the Vols’ starter at quarterback right now, but it could get dicey if he gets hurt or has to miss time for any reason. Last season, Jauan Jennings was never truly fully healthy, and it showed. He never quite had the same burst and and play-making ability last season as he did in 2016, though he still impressed with some of the things he was able to do. 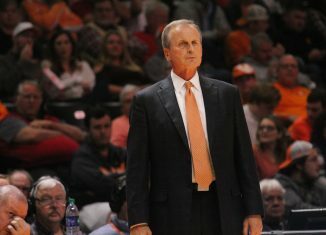 On Saturday, Jennings looked more like his old self. The rising redshirt senior finished the spring game with five catches for 57 yards and a game-high two touchdowns. He wasn’t asked to do a great deal, but he looked good doing what was asked of him. 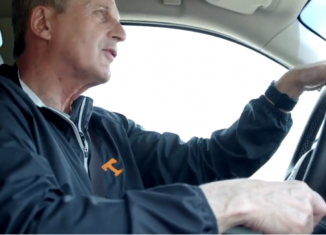 If he’s truly back to being healthy, then that’ll be big for UT’s offense.